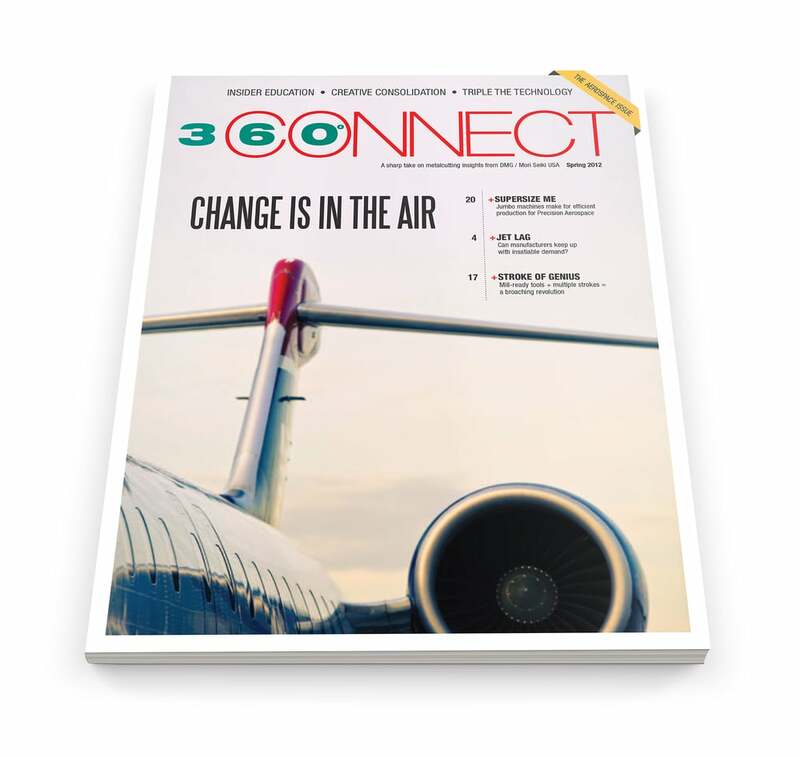 Description: 360 Connect was a quarterly magazine produced by metal machining giant DMG / MORI. 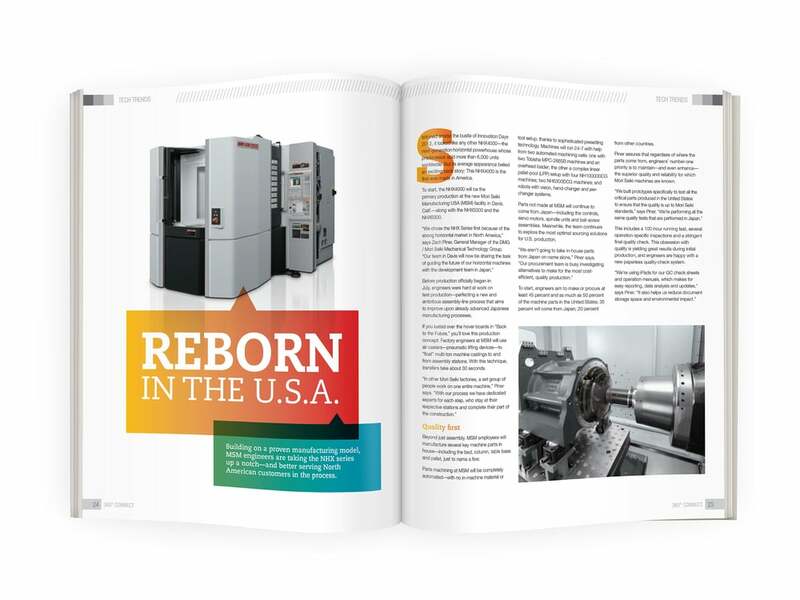 The magazine featured case studies on successful machine shops and industrial manufacturers around the country. On the agency side, this magazine was produced almost entirely by myself and a copywriter. Throughout the year, I would travel the country with a photo crew directing photoshoots, lay out about 50 full pages per issue, then work with a printer to oversee offset press production. Description: This was a full product line brochure for metalworking giant MC Machinery. This brochure was designed and produced alongside the revamped website (see website section). 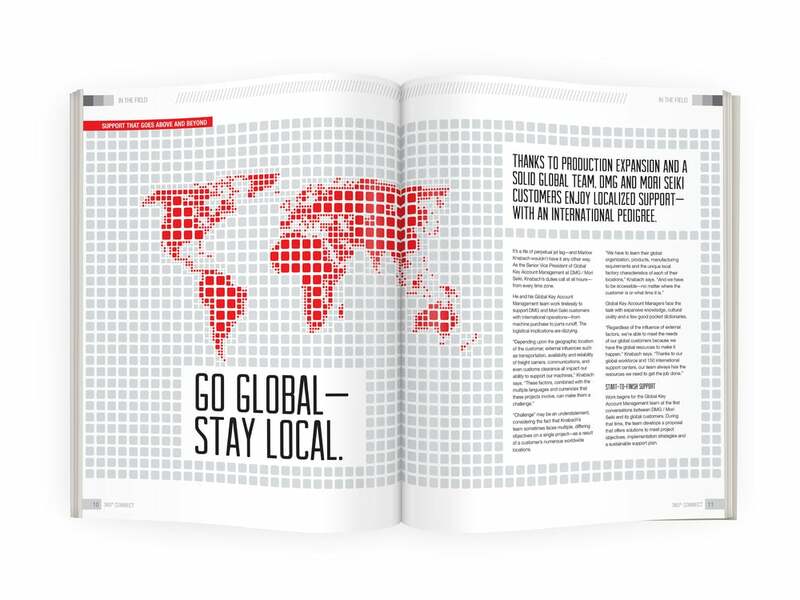 Description: Brochure to highlight DMG / MORI's support program.